The shadow Samsung has cast over the LG G4 is not unlike that used on the new clock widget. There’s an elephant in the room, and everyone knows it, even though said elephant looks more like a graceful swan, replete with slim sides, meticulous metal, and gorgeous glass. The animal trainer is now talking up numbers like 70 million. I’m talking of course, about the Samsung Galaxy S6 and S6 Edge, a powerful pair of devices that, in the infamous words of Apple, “changes everything”. It’s certainly changed the outlook for Samsung given that the company’s doom-and-gloom 2014 shortcomings were arguably already forgotten about before the products went on sale. What they also change, however, is just how well anyone else can do in their wake. 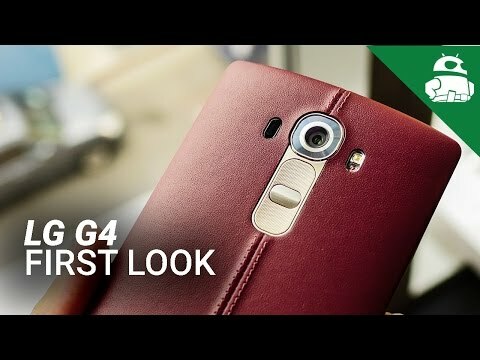 With this preface in mind, we turn to the LG G4, the other Korean giant in the smartphone world, and the company which despite seemingly weeks of hinting at what was coming (possibly a not-so-subtle attempt at trolling the launch of the Galaxy S6) LG finally, officially, unveiled the G4 yesterday. Let’s take a look at what, for me at least, the problems are with the G4, and why I most certainly won’t be losing sleep having obtained a new Galaxy S6. Despite the more negative overtones contained in this piece, let’s actually start by doing the opposite: just because I don’t like the LG G4, doesn’t mean you shouldn’t. The phone is, in and of itself, a substantial improvement over the G3 which came before it. The CPU is better, it has more RAM (than some G3 variants), the screen is better and brighter, it has a removable battery and microSD card support, a luxurious leather back, and even a slight curve. It runs Lollipop and LG’s own software has been refined and optimized to take full advantage of it. The camera is supposed to be better than ever. There is nothing wrong with the LG G4 at all, in truth. Granted the finished product might not be quite what the collective public was hoping for, but it’s still a very good product, and befitting of the Korean company’s flagship status. The LG G3 was a big seller for the South Korean company last year, but still had some issues such as a relatively dim back-light. Last year, LG had its best smartphone sales ever, perhaps in no small part thanks to the hype machine surrounding the G3’s QHD display. As the first major OEM in the world to make use of the tech, all eyes were definitely on South Korea’s other big company. 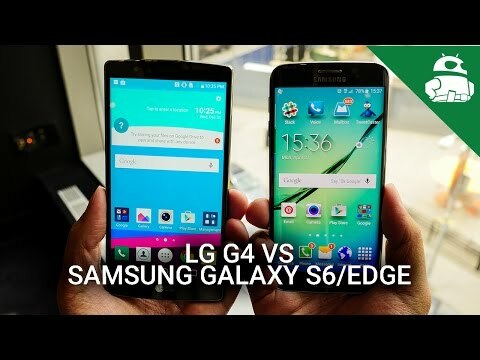 Samsung’s mediocre performance certainly helped LG shine a bit brighter. Samsung’s so called “Galaxy S5 Prime” never materialized, with South Korea exclusively receiving a Category 6 Broadband LTE-A that made use of a QHD Super AMOLED display but which the world at large never saw. The oft rumored ” all metal” build was nowhere to be seen. Even when metal did finally make an appearance later in the year, it was on the Galaxy Alpha, a high end machine with a rather small 720p display resolution. Things have changed. Samsung took drastic steps to ensure that the Galaxy S6 would be a success, and by all accounts it is. The Dual Edge variant as well. Where then, does this leave a company like LG, who has lofty goals for 2015? And who has yet to release its hardware, but is already at risk of it being lost in the Samsung hype train, something even the Apple Watch is arguably experiencing. The G4 will have both of the “missing” features of the Galaxy S6. For me, nothing about the G4 seems really… exciting. Granted there are some interesting design changes, such as the slightly curved display that, while subtle, is said to significantly reduce the likelihood of cracking the screen should the phone drop. It’s a problem of perception, perhaps. I just can’t accept these two phones as real rivals. 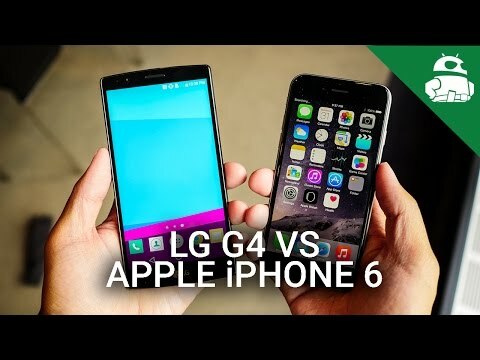 Accepting the G4 as a legitimate competitor to the Galaxy S6 is something that I have trouble with. The specs, while nice, simply don’t compare. I’m not particularly interested in why the G4 doesn’t have a Snapdragon 810. At the end of the day it doesn’t, and absolutely nothing will change that. And while this doesn’t necessarily matter for many people, the lack of fast charging with the Snapdragon 808 is definitely a sore point for me. While many are viewing Samsung as having finally created a product that is the “Android iPhone,” I really have trouble seeing the G4 as on the same level. People criticized the Galaxy S5 for looking too much like the S4, and for me the same holds true of the G4 and the G3 before it. I’m also not taken on LG’s Lollipop skin (and it’s not the first time I express this sentiment) and despite the claim it’s better optimized with this device, I’ve yet to see anything that breaks the mold solidified by the G Flex 2. Despite the glorious glint, of metal there is not even a hint. As much as I personally like LG (perhaps more so in the pre-G3 days admittedly), I think there is indeed some truth to the idea that LG has long been trying to “out Samsung” the Galaxy’s maker. But LG does try to stand out on its own. For instance, I’ve always liked how LG lets you long-press on any home screen icon and gives you the option to alter its appearance or replace it entirely. Likewise, the “Knock On” double-tap-to-wake gesture is nice, even if it does drain the battery a bit. I’ve also been partial to the company’s ability to let you customize the position and presence of navigational soft keys. What bothers me about the G4, then, is that it’s seemingly a wasted opportunity for the company to have outshone its rival. It could have been something totally original and made for a legitimate claim that LG wasn’t just a Samsung follower. Sure, the product was being planned long before the S6 was ever announced, but given the flop of the S5, it’s not as if LG didn’t already know what it would have taken to make something marvelous. Aside from that, just why couldn’t it have moved onto metal of its own volition? Luxurious leather: is it really something better? For me, this leather design looks more appropriate on a catcher’s mitt or pair of jeans than it does on a phone. 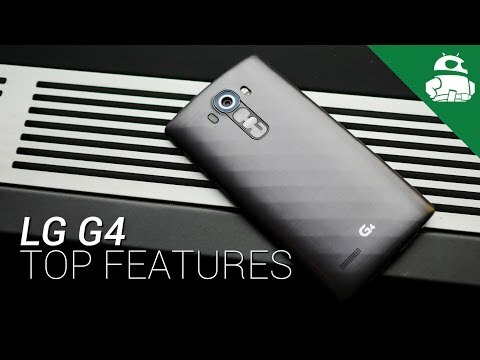 As it stands, the only truly premium element of the G4 is the leather back. Putting aside my own personal dislike of the in-your-face stitching placement, it just comes across as a last-minute decision to make the phone more unique. Mind you, it’s possible LG was planning a back panel of this nature from the get-go, but the fact that it’s removable just kills the benefit for me. Technically speaking, there is no reason why someone couldn’t simply buy the (likely cheaper) plastic “ceramic” unit and then buy the leather back afterwords. Or a third-party one for that matter. At least if the panel was sealed like on the Moto X, it would definitely give the feeling of a permanent fixture. On a positive note, once the leather cover is “distressed” to the point of looking and feeling awful, you can at least replace it. Speaking of the back panel, I’m not too excited by the “ceramic” coating on the plastic pieces, either. It’s not self-healing. Why is this? LG made headlines across the globe for its use of such material on the original G Flex, and then again when it released the G Flex 2 and claimed the propensity to protect and repair was even better than before. How is it that, again, the G Flex line has seemingly more cutting-edge features than LG’s flagship? We will have to wait until our official review to see just how well this new technology stacks up against the Galaxy S6. Samsung, like it or not, has produced a pair of products that truly bring the Galaxy S line up-to-par with the Apple iPhone from a build quality standpoint, and serve to surpass it from a feature one. Whereas Samsung once was king of the court for simply having the best, most comprehensive product out there, it’s now back at the top of the hill thanks to a truly vibrant appearance. The LG G4 is a nice phone. A great phone even. It’s a solid effort put forth by a company that has been slowly but surely building a brand that has attracted more and more customers. While the most spec-focused skeptics will instantly write it off for the presence of the 808, it’s really not the end of the world. Assuming it launches at a lower price point than the Galaxy S6 (which by all indications it will), there will inevitably be a large number of customers who will buy it. Unfortunately, I will not be one of them. LG arguably lost me last year when it released the G3, though I did still get it upon release. This year however, I have absolutely no intention of buying the LG G4 given that – for me – it lacks any feature or propensity to do something more than the Galaxy S6. But enough about me, what do you think? Does the LG G4 have enough “premium points” to earn your seal of approval? Does the removable battery and ability to use microSD translate to an instant win? Can it help LG achieve its continued success in 2015? Please leave a comment below and let everyone know what you think!